Over 50 years of work has gone into planning for best management of the Lake Winnipesaukee watershed - the current plans build on that great history. 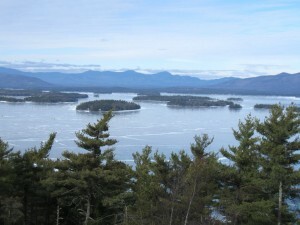 Efforts to protect the water quality of Lake Winnipesaukee and its surrounding land area began in the 1960s with the establishment of the Winnipesaukee River Basin Study Commission. The study focused on water quality problems primarily associated with pollution from wastewater discharges, and can be attributed in large part to the actions of a local group of concerned citizens, The Lakes Region Clean Waters Association, to clean up Lake Winnisquam. 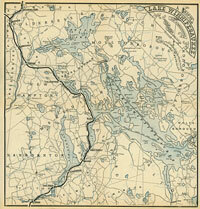 The study led to the creation of the Winnipesaukee River Basin Program resulting in construction of a public sewage disposal pipeline system and facilities serving portions of the Winnipesaukee River Basin communities of Center Harbor, Meredith, Laconia, Gilford, Belmont, Sanbornton, Tilton, Northfield, and Franklin. The story behind the Lakes Region Clean Waters Association’s efforts to clean up Lake Winnisquam can be seen in the documentary “Clearing the Water”, which was produced in 2010. In recognition of the significant efforts of the group to protect the environment, EPA presented the Lakes Region Clean Waters Association with the first EPA Environmental Protection Award in 1975. In the mid 1970s a water quality management plan for the 21 communities within the lakes region, titled “208A Water Quality Report”, was the first attempt to develop a comprehensive watershed management plan for the lakes region. Since the late 1970’s, the University of New Hampshire Center for Freshwater Biology has conducted a volunteer based water quality monitoring program on the lake, the “Lakes Lay Monitoring Program” (LLMP). This program has provided worthwhile data for long-term trend analysis of the lake’s water quality. Twenty years would pass before another study focused on the water quality of the lake was conducted in 1995, titled “Water Quality Trend Analysis of Lake Winnipesaukee”. Since that time there have been various local and independent efforts to evaluate water quality, determine land use change and impacts, and assess the concerns and issues of the public. Late 1970’s – “208A Water Quality Report” – This project, funded by the Environmental Protection Agency (EPA), was undertaken by the Lakes Region Planning Commission and included the water quality sampling and analysis of four lakes and their major tributaries. The overall purpose of the project was to develop a water quality management plan for 21 communities that would serve as a guide to the protection of the Lakes Region’s valuable water resources. 1995 Lake Winnipesaukee Watershed Project – “Water Quality Trend Analysis of Lake Winnipesaukee” Lakes Region Planning Commission conducted an analysis of the water quality data of Lake Winnipesaukee to determine if a correlation could be made between water quality trends, land use and local regulations. 1998 Lake Winnipesaukee Watershed Project (LWWP) Focus Groups – During the summer of 1998, four (4) forums were held around the lake to develop a vision for the watershed. The vision described a public/private partnership that would bring all interests together to speak with one voice. A concern for the future of the watershed and the need to balance recreational uses, development, and the economy with protection of water quality, and healthy ecosystems was the consensus of the groups. Recommendation #1: Laconia cannot protect their water supply alone. 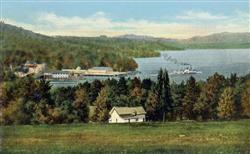 Laconia should take a leadership role in maintaining existing water quality and improving it. Recommendation #2. The 3 municipalities in the study area (Gilford, Meredith, Laconia) should agree to cooperate and coordinate on issues within the watershed. 2004-05 “Tributary Monitoring in the Winnipesaukee Watershed” – Monthly and biweekly sampling was conducted on 11 streams and rivers in the watershed beginning April 2004 and ending October 2005. Sampling sites were at the outlets of the streams to determine the quality of the water emptying into the lake. 2005 “Management Plan for the Waukewan Watershed” Lake Waukewan is the town of Meredith’s drinking water supply, and as such the community decided that it was important to develop a plan that would focus on the protection of its water quality. There are five towns in the Waukewan Watershed, 3 of which are shorefront. The total size of the watershed is 8,275 acres. 2006 “Source Water Protection Plan for the Town of Gilford, NH” – The Source Water Protection Plan aims to protect the quality and quantity of drinking water sources in Gilford through the identification of potential contamination sources and specific recommendations to manage those threats.